EA Vancouver introduces some pretty significant new features in their flagship sports sim. Are they successful? 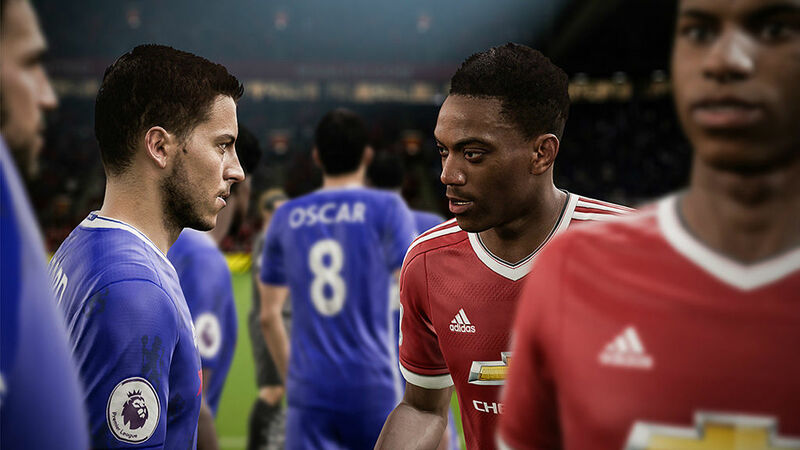 Visit our FIFA 17 guide hub for all the tips and hints you need to play your best game! Disclosure: FIFA 17 was partly reviewed at a one-day event in EA Vancouver, with the rest being played at home. Airfare and hotel was covered by Electronic Arts. Alex Hunter has a dream: Become a professional soccer player like his grandfather, meet famous players like Marco Reus and Harry Kane, and win the Premier League. In that, he's no different from many other youngsters around the world, save for the fact that he isn't real. Hunter is the star of "The Journey:" A new story mode that serves as the centerpiece for FIFA 17. In following in the footsteps of NBA 2K's MyCareer, it is helping to inaugurate a new era in sports sims - one that resembles Heavy Rain as much as Football Manager. It's also giving a lift to FIFA itself, which in recent years has struggled to retain its creative edge. So does FIFA 17 make the leap? As usual, I'll look at it from both the perspective of a new player and a returning fan, then render a final judgment. I'll start with a broad overview of what FIFA 17 has to offer. FIFA has a reputation for quality going back to the previous generation. Since FIFA 09, it has garnered consistently strong reviews, which has allowed it to outstrip its nearest competitor: Pro Evolution Soccer. Though it does its best to be realistic, FIFA's calling card is its accessibility, which has in turn made it an ambassador for the sport itself. Soccer, of course, is an intuitive game, and that is reflected in how easy it is to pick up the controls and start successfully moving the ball down the field. Aiding this process are tutorialized skill games that you can play during the loading screen, and also The Journey - a mode that EA Vancouver has described to me as a kind of "FIFA Boot Camp." FIFA's brand of accessibility has led some purists to call it shallow; but for what its worth, FIFA does a pretty good job of presenting the game's tactics in a way that is easy to digest. On the field, the action is smooth and attractive, aided by the introduction of the Frostbite Engine - the same tech that powers Battlefield. Players interact smoothly, utilize a variety of interesting skill moves, and overall look great. It also benefits from nice, fast loading times, which ensures that things that don't get bogged down too much. The Frostbite Engine is what makes The Journey possible, giving FIFA's designers the flexibility to build up a full-on story mode. The Journey is by far FIFA 17's biggest selling point; and for the most part, it actually lives up to the hype in the way that it deftly incorporates skill games, conversation choices, and action on the pitch. Though a bit light in terms of the flexibility it offers, it makes for a fun new way to experience FIFA. Playing as Hunter, you begin as a child taking penalties on a local pitch, then slowly work your way up through Exit Trials, and then into the Premier League. Joining you is your friend Gareth Walker, who quickly becomes something of a rival as you vie for a spot in the Staring XI. As you progress, the mode gets into a nice flow as you take on optional practices, play in actual games, and build up your character. In opting to tell the story of a young player breaking into the Premier League, FIFA naturally invites comparisons to NBA 2K, which has included a story mode of its own over the past few years. That said, there are a few major differences. 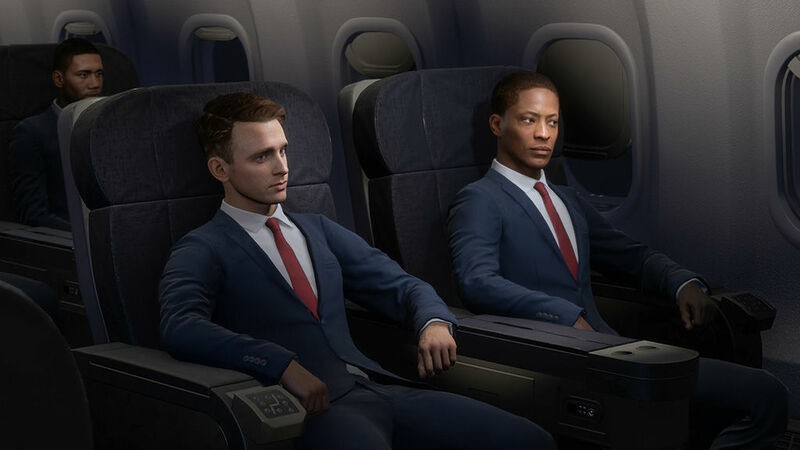 First, Alex Hunter is not customizable, which makes The Journey feel like more of a sports movie. Second, it doesn't try to double as a fully-featured career mode. Instead, it's more of a campaign along the lines of what you might find in Battlefield: An interactive story that hits some very specific beats. In so doing, it can feel a little awkward at times. True, you can choose to play on any team in the Premier League at the outset; but one of the first things that happens is that they sign Harry Kane (or Angel Di Maria), which doesn't quite ring true for a club like Bournemouth. Yes, there's a lot of TV money in the EPL now; but Harry Kane was one of the league's top scorers last year, and if he were to leave Spurs, it would be for a club like Real Madrid. Another awkward moment is when you play well in the early hours but still fail to crack the Starting XI. Why? So you can experience some adversity, I guess, and so you can reunite with a very particular character. It's not what I would call a deal breaker - actually, I think it's kind of realistic - but it doesn't quite fit with the interactive nature of the medium. Thankfully, you eventually get more opportunities to control your fate with your performance on the field. Beyond that, The Journey actually works very well. Its writing, acting, and production values are very high; and while it comes off as a bit cliche, it's understated enough that it's not grating. It also offers a nice bit of wish fulfillment, incorporating your chosen fandom into your character's room decoration; putting you next to real players, and generally making you feel like you're actually on the team you've chosen. I'll admit, I smiled when Jurgen Klopp gave my character a single nod as he entered Liverpool's facility for the first time, and I'm not even a Liverpool fan. The important thing to understand about The Journey is that it complements FIFA's existing player mode rather than replaces it. If you want to build up a customizable character, then the normal player mode is still available. That might not be enough for some people; but within its somewhat narrow focus, The Journey works rather well. Rather than dominating the game like MyCareer does, The Journey is a sports movie that doubles as a gateway to the rest of the FIFA experience. Meanwhile, the rest of FIFA generally lives up to the solid standard set by The Journey. Manager mode is flexible and powerful, allowing you to take control of any club in the game and try to turn into a world power. It includes the ability to take part in international competitions and manage one of the game's many national teams, as well as the ability to customize any league to your liking. It has its issues - a narrow focus on super clubs and a Youth Academy that spits out weirdly balanced prospects - but it's deeper and smarter than almost any other career mode out there. Modes aside, though, the main thing that has kept me coming back to FIFA over the years is that it's just really fun to play. EA Vancouver has managed to nail the balance between being a simulation and being fun time and again, and that formula has propelled them to incredible success over the years. The Journey will get most of the headlines this year, but it's definitely not the whole story. FIFA's accessible and addictive gameplay is what drives it, and will continue to drive it long after Alex Hunter is forgotten. The players who can do everything, even the most complicated tricks.